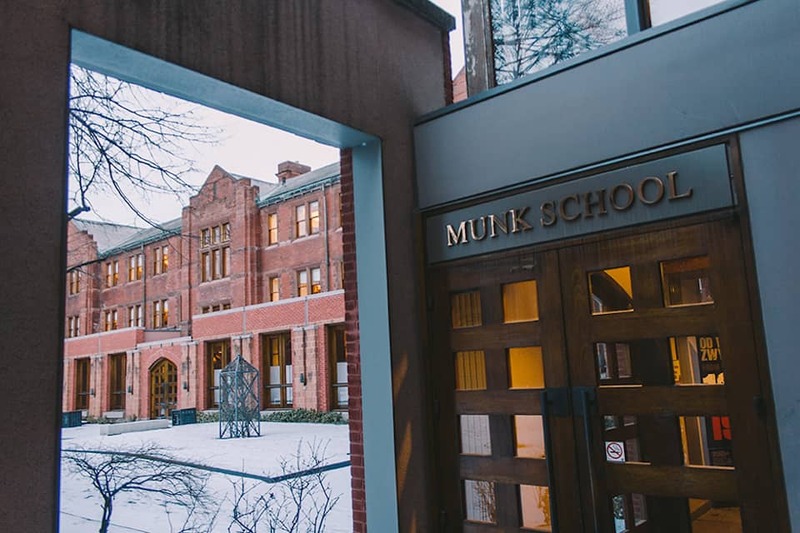 The announcement was made at a Massey College event on September 17 by co-chairs of the commission, Associate Professor Heidi Bohaker and Junior Fellow Audrey Rochette. They have been engaged in this commission, called the Decanal Working Group (DWG), since the summer of 2016, when it was created by FAS Dean David Cameron. The college would also act as a physical monument, acknowledging that U of T has and continues to operate on the traditional lands of the Huron-Wendat, the Seneca, and the Mississaugas of the Credit River for thousands of years. In addition, it would provide a physical space for a community of students interested in Indigenous studies. The college would accept both Indigenous and non-Indigenous students from at least the FAS and operate in a similar way to other U of T colleges. It would maintain “residence spaces, a registrar service, faculty members drawn from different units, spaces for commuter services, and [spaces] for academic programs that are connected to the college,” said Bohaker. However, what would be unique about this space is that it would also offer services designed specifically to support Indigenous students returning to continue their education. For instance, as Indigenous university students are “often mature students with families,” according to Rochette, the DWG has recommended the operation of a daycare service within the college. The space would also provide medical and psychological services, contingent on a community partnership with Anishnawbe Health Services, a clinic near UTSG. Traditional healers from the clinic would provide medical as well as spiritual services from an Indigenous cultural perspective. According to Rochette, the partnership would ease the burden on the Elders in Residence who are currently providing spiritual services at U of T.
The architecture of the college could possibly be inspired by the Akwe:kon residence hall at Cornell University, along with the First Nations Longhouse at the University of British Columbia, said Bohaker. “We envision garden space, outdoor teaching and land-based pedagogy space, classroom space that envisions Indigenous pedagogies — no lecture halls with desks welded to the floor,” said Bohaker. The DWG has recommended for the college to be built at UTSG. Currently, there is no official statement by the Office of the President to commit to securing land for the project. The Dean’s Advisory Circle is currently exploring cost estimates and funding sources. A timeline for completion of the analysis is not yet known, as the work of the recently-created group is “just getting underway,” according to the FAS communications office. The DWG has recommended for the college to open in 2030. A mission of the DWG was to explore how the FAS could implement recommendations from the 94 Calls to Action released by the Truth and Reconciliation Commission (TRC) in December 2015. From 2008–2015, the TRC documented the human rights abuses inflicted on Indigenous children throughout Canada’s colonial history at residential boarding schools they were mandated to attend. The Calls to Action called on Canadian institutions to take specific actions steps to heal the damage done to the Indigenous people by these residential schools and colonialism. Specifically, Call 65 advocated for the establishment of “national research program with multi-year funding to advance understanding of reconciliation” between the Indigenous and non-Indigenous peoples of Canada. The DWG explored how U of T could answer Call 65, and that resulted in the DWG’s own Call to Action for U of T to create a new Indigenous college to centralize the university’s Indigenous studies research. The DWG issued a Call to Action to create a “Dean’s Advisory Circle” to implement the recommendations of the Group’s report. Thus far, Professor Pamela Klassen, Vice-Dean Undergraduate, and Professor Susan Hill, Director of the Centre for Indigenous Studies, have been appointed as co-chairs. In the summer of 1898, Frederick Du Vernet, an Anglican missionary from Toronto, left the city to travel west. Travelling by train, steamer, and canoe, Du Vernet journeyed to the grassy banks of the Rainy River. The long and slow moving river forms a part of the border between what is now northwestern Ontario and Minnesota. Along the Canadian side of the river, Du Vernet met and spoke to the Anishinaabe — the region’s Indigenous residents — and recorded the encounters in his diary. In doing so, Du Vernet documented a period of intense colonial expansion, as Canadians settled on Anishinaabe territory and illicitly claimed it as their own. Yet Du Vernet also recorded moments of Anishinaabe agency and resolve against the colonial order. Taken together, his diary unwittingly tells the stories of these people and their land on Manidoo Ziibi — the Rainy River. Du Vernet’s diary was stored for decades in a Toronto church archive. Today, it’s the focus of a collaborative project in digital storytelling called Story Nations. Students and faculty from the University of Toronto are working in close consultation with the Kay-Nah-Chi-Wah-Nung Historical Centre of the Rainy River First Nations to develop an edition of the diary that’s annotated, online, and available in text and audio format. Many members of the team have visited the Rainy River several times and continue to receive tremendous guidance and insight from Rainy River elders and community members. I became involved with Story Nations just over a year ago, through U of T’s digital humanities Step Forward program. At the time, I knew little about Canadian history and much less about the Rainy River. 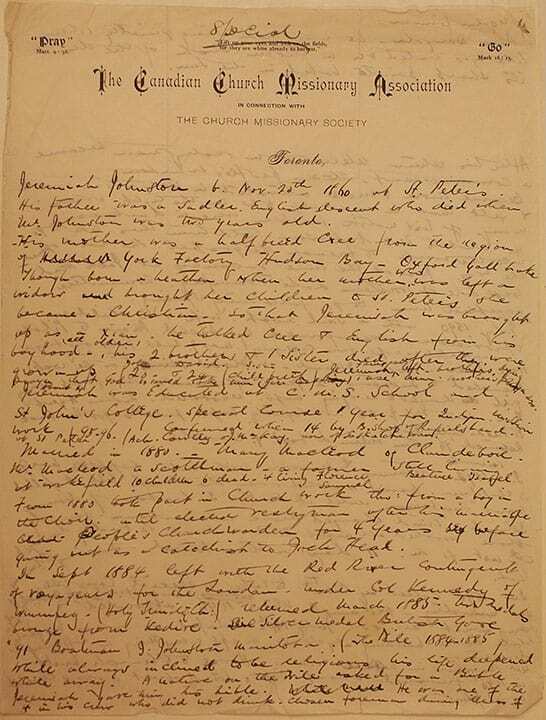 To introduce me to the topic, the program director, religion professor Pamela Klassen, and its manager and web designer, doctoral student Annie Heckman, handed me a transcription of the diary with one or two supplementary readings and asked for my thoughts. Thrust into the foreign time and place of the diary, what immediately stood out to me were the human characters that inhabited its pages. Du Vernet jotted down the stories of Anishinaabe weighing, on a daily and individual basis, the hodgepodge of Christianity and colonialism with their own traditions and faith. Many Anishinaabe protested Du Vernet’s presence as a Christian zealot on Anishinaabe land. Taken individually, these protests often amounted to seemingly little more than a woman refusing to be photographed by Du Vernet or even the slamming of a door. But stringing these moments together generates a larger mosaic of Anishinaabe opposition to the colonial order. Those involved in the Story Nations research project visited the present Rainy River. Photo Courtesy of Keith Garrett. Du Vernet described such a case when writing about Kitty, a young Anishinaabe woman from the Manitoban mission of Jack Head. Kitty had been baptized but later returned to Anishinaabe spiritual practices. She became fatally ill and one night prayed with Mary Johnston, the wife of a Christian missionary. “Oh God come and take me,” she prayed. She passed away the morning after. Johnston insisted on giving Kitty a Christian burial. Du Vernet himself became a part of the spiritual interaction he observed. Returning from a walk along the river bank, Du Vernet heard “the sound of incantation” and followed it into a tent, where an Anishinaabe ceremony was taking place. Du Vernet noticed his presence was not welcome, but he nonetheless remained transfixed by the unfolding ceremony. Even though he thought “it was all such a fraud,” Du Vernet could not help but stand with an “uncovered head and a feeling of reverence.” He was both deeply moved and viscerally repulsed by the Anishinaabe spiritual world. Each episode works like the chapter of a book, having a title and its own self-contained narrative. The episodes vary thematically, with some, like “Photographs After the Storm,” meditative and pastoral, and with others, like “The Story of Kitty,” tragic and solemn. The episodes tend to follow the rhythm of the Rainy River itself — calm in one moment, stormy and climatic in the next. While Du Vernet’s diary is a decidedly colonial artifact, using Anishinaabe storytelling conventions helped ‘Indigenize’ the document and its presentation. In line with this, each episode is accompanied by an oral reading. Also, Du Vernet’s stories are presented alongside videoed stories told by today’s Rainy River Anishinaabe. Du Vernet documented examples of Indigenous Resistance in his diary. Photo Courtesy of Keith Garrett. After my initial work on Story Nations, I continued to work on the project during the summer through the University of Toronto Excellence Award, and I now work on it as a research assistant. My tasks have centred around annotating the diary. Du Vernet references a slew of historical people, places, and terms that are unfamiliar to the modern reader. My job was to research these ambiguities and provide a short annotation or sometimes a longer article explaining them. My regional and historical knowledge developed as I wrote these annotations. My work was much like exploring an unfamiliar region. The annotations served as familiar points of geography, like a raised ridge or a strange rock, and it was my job to map out everything around them. Many of these annotations contextualize Du Vernet’s language. Sometimes, an annotation would explain what treaty money was or where the Lake of the Woods is located. Other annotations, however, contextualize Du Vernet’s language. Throughout the diary, he used derogatory terms to describe the Anishinaabe people and their ceremonies. The annotations work to explain the forces of colonialism, racism, and Christian supremacy that underlie these words and indeed much of Canada’s history. At this stage of the project, the biggest challenge is ‘decolonizing’ how I write — a concept Professor Klassen introduced me to. By this, she meant expunging artifacts of colonial thinking that linger in historical accounts. So, for example, at the start of this article, I wrote that the Rainy River is in “what is now northwestern Ontario.” A year ago, I would have been satisfied with just Ontario, but ‘Ontario’ is merely a small segment in the human history of the land. For much longer, it has been the land of Indigenous peoples and continues to be so today. As I continue to decolonize my writing, I realize it is not out of a duty to apply, as some might think, ‘politically correct’ terminology. Rather, it is about writing history from an objective and accurate standpoint. Still, much of the scholarship I use to research the Rainy River area, unknowingly or not, relies on colonial conventions that sanitize the real history. For instance, in researching the Cree community of York Factory — in what is now northern Manitoba along the shores of Hudson’s Bay — many histories of the site ended when it was ‘closed’ in 1957 and its people ‘relocated.’ No further explanations were offered. As I later learned, this version of the story, with a few austere sentences, left out the far uglier reality: the government forcibly moved Cree families from their homes and onto much poorer land. Some Cree today occasionally visit the old site of York Factory and their childhood. A similar fate awaited the Anishinaabe of the Rainy River. In 1913 and 1914, just over a decade after Du Vernet’s visit, the government illegally amalgamated the seven Anishinaabe reserves along the river into one, forcing many of the people Du Vernet met to leave their homes and heritage. Today, the Rainy River First Nations are in a long-term process to regain their land. In 2005, they agreed to a $71 million land settlement with the Canadian government that identified land for future reserve creation. Following a court order in February 2017, the governments of Ontario and Canada, together with the Rainy River First Nations, announced the creation of some 6,000 hectares of new reserve land. As the Rainy River Anishinaabe continue to fight for a relationship of reciprocity and respect with the Canadian government, stories remain as vital as ever — for both remembering the past and for creating a better future. Du Vernet’s diary, while steeped in flaws, is nonetheless a part of those stories. The curriculum of British Columbia’s grade 11 social studies classes involves learning about Canada’s past relations with Indigenous peoples. A large segment of this topic is dedicated to the discussion of residential schools and their impacts on Indigenous people in Canada. This statement implies there was such thing as a ‘good’ residential school, which is clearly not the case. All residential schools removed children from their families, communities, culture, and languages. Indigenous people who did not attend residential schools are experiencing the lasting intergenerational impacts of this system, including poverty, alcoholism, family breakdown, and systemic violence. This statement also illustrates the lack of knowledge that many high school teachers have about Indigenous issues; these misrepresentations of the truth only serve to perpetuate stereotypes about Indigenous peoples. According to the 2016 People for Education Annual Report on Ontario’s Publicly Funded Schools, only 31 per cent of elementary schools and 53 per cent of secondary schools provide professional development opportunities for staff in the area of Indigenous cultural issues — just under half of secondary school teachers are not provided with up to date information to adequately instruct their students on these topics. Additionally, only 29 per cent of elementary schools and 49 per cent of secondary schools bring in Indigenous guest speakers. A mere 13 per cent of elementary schools and 38 per cent of secondary schools consult with Indigenous communities — Indigenous peoples have little influence on the information taught about their cultures. Given the lack of meaningful Indigenous education at the high school level, education on Indigenous issues should be incorporated into every student’s university education. Several Canadian universities have already implemented an Indigenous content requirement in order to make up for these gaps and to introduce international students to the problems faced by Indigenous peoples in Canada. It is now time for the University of Toronto to do the same. In January 2016, the university announced it would convene a committee to review the recommendations made by the federal Truth and Reconciliation Commission, and that they would implement any recommendations found relevant to the university. Through this commitment, U of T demonstrates an interest in reconciling with Indigenous peoples. In following through with this interest, the university should feel an obligation to ensure that all of its students understand the realities of colonization, residential schools, and the impacts that have followed for Indigenous peoples. Although not expressly laid out as a recommendation by the Truth and Reconciliation Commission, implementing a mandatory Indigenous content requirement would ensure that all U of T undergraduates have such an understanding upon completion of their degree. Then, students would be able to bring this understanding forward to enlighten other members of the population on these issues. Some of those opposed to such a requirement suggest that this information should be taught in high school. The reality is that the majority of high school teachers do not have the knowledge to accurately teach about Indigenous issues, if they teach about Indigenous issues at all. Many people in opposition to a mandatory Indigenous content requirement have a problem with any mandatory courses at all, arguing that university is a paid educational experience and students should be able to take what interests them. Rather than requiring specific courses like many other institutions though, U of T breadth requirements ensure that students are well rounded while still able to maintain their freedom of choice with respect to course selection. U of T can simply implement this requirement in a similar way to the University of Winnipeg, which incorporated a multitude of Indigenous studies courses from which students can choose. Indigenous content could be fused with program objectives, which would allow students to learn how these issues impact all fields and ensure all students graduate with knowledge of such issues. Indigenous students could be included in designing and facilitating courses, ensuring accuracy and giving them influence on what is taught. At U of T, this requirement could easily be incorporated into the current breadth requirement system, by designating any courses providing sufficient information on Indigenous issues as a breadth category and including completion of a credit in this category as a graduation requirement. The university can also avoid increasing the number of breadth courses students must take by granting credit for the Indigenous requirement in addition to any breadth categories the course currently fulfills. By implementing an Indigenous content requirement, U of T has the potential to effectively address the marginalization faced by Indigenous peoples in Canada. Prioritizing Indigenous content will empower students to understand their position in Indigenous matters and acknowledge any related privileges they may hold. It will also give Indigenous students the opportunity to see their culture embraced by the university, creating a more inclusive, engaging environment. This is an important step that the university should take, if it truly wants to commit to reconciliation. Madeleine Freedman is a third-year Innis College student studying Canadian Studies. In keeping with the growing trend away from using the word ‘aboriginal,’ the Centre for Aboriginal Initiatives within the Faculty of Arts & Science will be renamed the Centre for Indigenous Studies, after a unanimous agreement in favour of the name change from faculty, staff, and students. The centre currently offers undergraduate specialist, major, and minor programs in Aboriginal Studies. In July, these programs will be called ‘Indigenous Studies’ pending approval by the Governing Council on June 23. Other universities that have made the switch to Indigenous Studies from Aboriginal Studies or ‘Native Studies’ include Trent University, McMaster University, Queen’s University, University of Saskatchewan, University of British Columbia, University of Victoria, and McGill University. Similarly, Prime Minister Justin Trudeau renamed the federal ‘Ministry of Aboriginal Affairs and Northern Development’ to the ‘Ministry of Indigenous and Northern Affairs’ last November. In addition, Ontario Premier Kathleen Wynne announced in May that the provincial ‘Ministry of Aboriginal Affairs’ will be renamed the ‘Ministry of Indigenous Relations and Reconciliation’. Carolyn Bennett, Canada’s minister of Indigenous and northern affairs, voiced her support for mandatory Indigenous studies classes for every university student. At a talk on January 25 entitled “Understanding Sovereignty and Security in the Circumpolar Arctic” at the University of Toronto, she highlighted the importance of educating all Canadians about Indigenous knowledge systems, traditions, and cultural practices. “It is important that northern voices be fully heard in the formulation of the Canadian approach with recognition of the place of Indigenous knowledge,” Bennett added. When asked about what the Canadian government plans to achieve in terms of implementing the recommendations put forth by the Truth and Reconciliation Commission (TRC) with regards to education, Bennett remarked that she has been pleased to see many universities taking up the Calls to Action of the TRC. She praised the University of Winnipeg in particular for implementing a mandatory Indigenous Studies course for all students. “If people don’t understand the Indian Act, Residential Schools, the effects of colonization, if even the clinicians don’t understand PTSD in that lens, we aren’t gonna win,” Bennett said. Members of the Native Students’ Association (NSA) caught up with the minister to ask for her signature on their petition for a mandatory Indigenous Studies course for U of T undergraduate students, which she did. “I feel overwhelmed and a sense of great pride to be a part of the wonderful community. So many kind and generous people are supporting our cause. The response has created a new community, one that is dedicated to diversify our education and hear the voices of my ancestors,” said Audrey Rochette, crane and governance leader of the NSA. “The next phase in our petition will be to draft a proposal which will be reviewed by our council and select faculty members to ensure it meets the criteria of such a strong call to action that it simply can not be dismissed with a no,” Rochette said. Bennett is a University of Toronto alum. She said that when she graduated from U of T, swimming the length of a pool was a requirement. “So I’ve now changed my view; I think you shouldn’t be able to graduate unless you’ve done at least one course in Indigenous studies,” a statement that was met with applause.